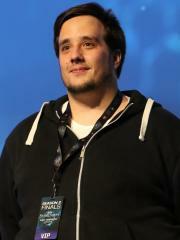 Joseph "Ret" de Kroon is a Dutch StarCraft II player, formerly a StarCraft: Brood War player. Ret is currently ranked #1212 in highest overall earnings, and #16 in highest earnings for players from Netherlands. The most money that Ret has won from a single tournament was $10,000.00 from 2011 EU Battle.net Invitational (Starcraft II) on August 7, 2011. He placed 1st, making up 12.71% of his total prize money won.